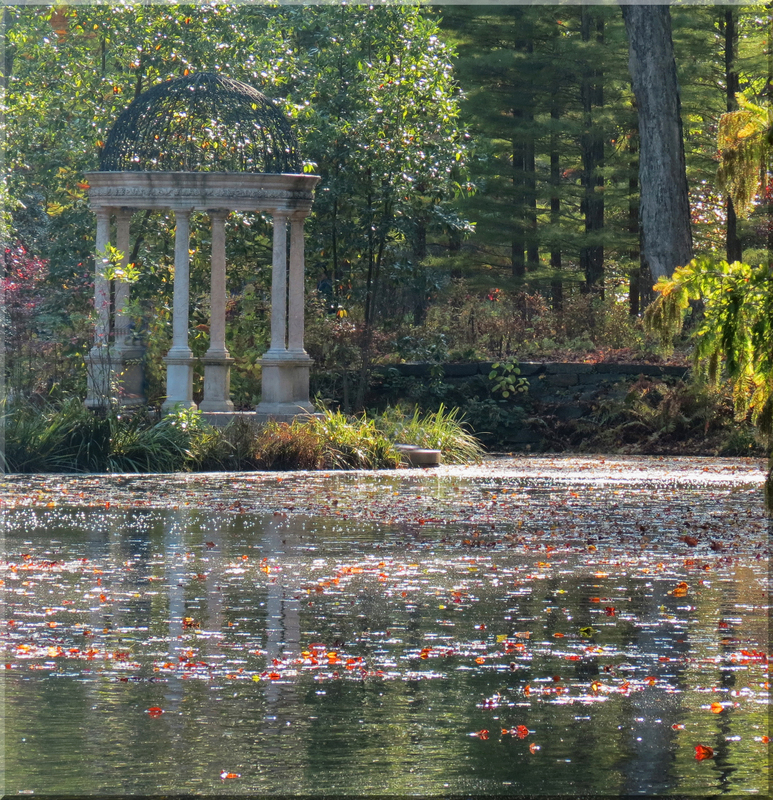 Longwood Gardens, one of the most beautiful botanical gardens in the United States, is a popular destination for visitors in the spring and winter holidays. One of my favorite memories is the skating performances, set in a snow-covered backdrop with colored lights reflecting on the ice. I couldn’t imagine how the autumn season could complete with the holiday display, but every path through the garden offered beautiful vistas and colorful flowers. On this clear October afternoon, I walked by two lakes, through the meadows, into the woods, over to the train display and inside the conservatory. Even though the parking lot was filled with cars, over 1,000 acres allows visitors to explore the many sites without crowds. Several months ago I visited Morris Arboretum in Chestnut Hill, Philadelphia, where G-scale model trains and trolley cars ran along a quarter-mile of track through a magical garden setting. Longwood Gardens has built a similar display incorporating colorful plants and water features into their train layout. 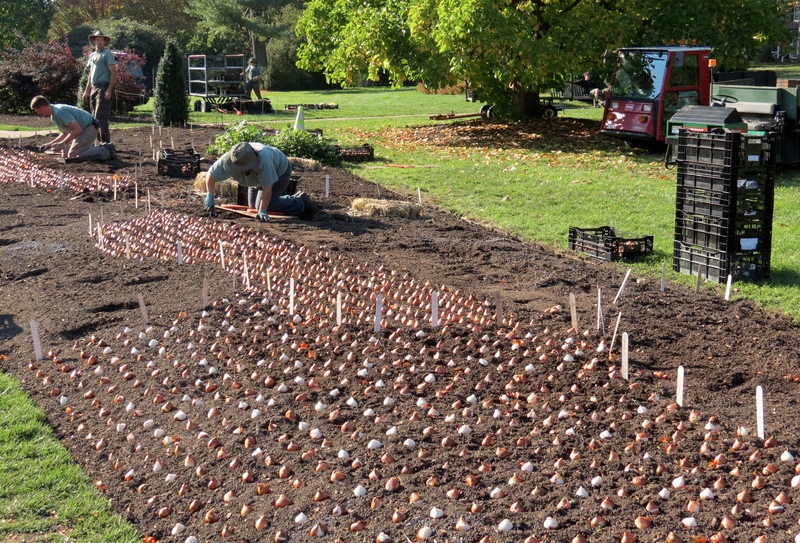 Given the number of bulbs and gardeners working on the plantings, that display should be spectacular come spring time. I enjoyed the pictures. They brought back wonderful memories of trips there years ago. In my recent summer camp post, we were traveling in central Pennsylvania, not too far from your grandmother’s hometown of McEwensville. Beautiful landscapes in that region.